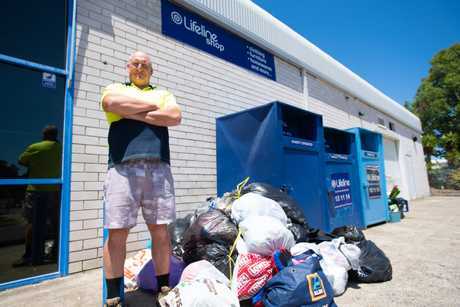 DIABOLICAL is how Marc Hutchinson describes the dumping and stealing going on at Coffs Harbour Lifeline stores in recent weeks. Marc is the warehouse manager at their Hi-Tech Dr, Toormina store and has been with the organisation for eight years. He says January and February is usually the "peak time" for such activity but this year it's the worst he's ever seen it. "There's a couple of factors involved. 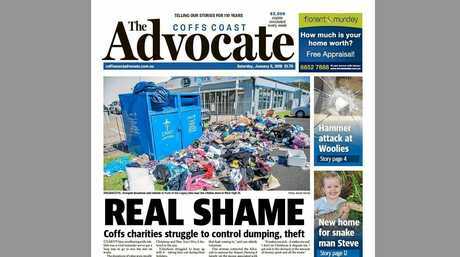 Firstly it's because council stopped their bulky pick up but it also really highlights the social issues in Coffs Harbour at the moment. "People are really doing it tough and charities are copping the brunt of it," he said. The Advocate featured the issue on its front page just after Christmas with a confronting image of items spilling out into the carpark near the Lifeline's West High St store. Food scraps and household waste was mixed with donated items and volunteers at surrounding op-shops were left to clean up the mess. And now, almost two months on, it seems the situation is only getting worse. 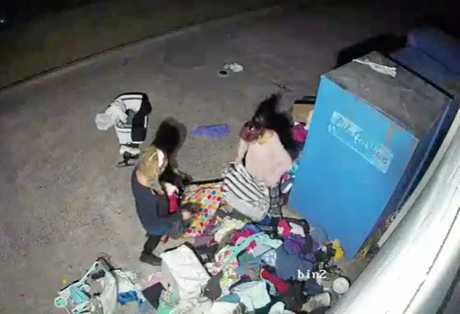 The first weekend in February donations were dumped on Saturday afternoon at Toormina Lifeline, subsequently damaged by rain and rummaged through by thieves, leaving little of value for the store to sell, and incurring huge clean up costs for the charity. Toormina shop manager Penny Mills is fed up with the situation and monitors the footage from the closed-circuit television cameras that were installed in the lead up to Christmas in an attempt to combat the problem. 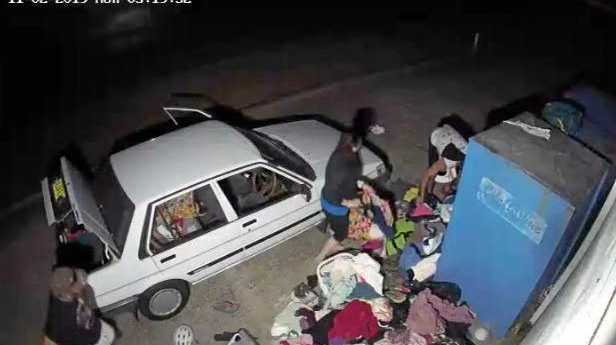 "That weekend was a classic example with a huge amount of items dumped between Saturday and Sunday afternoon. With people going through it and the small amount of rain we had it created a huge mess. I could only salvage a trolley full of worthwhile items." Ms Mills get alerts at all hours and sends details on to the police. 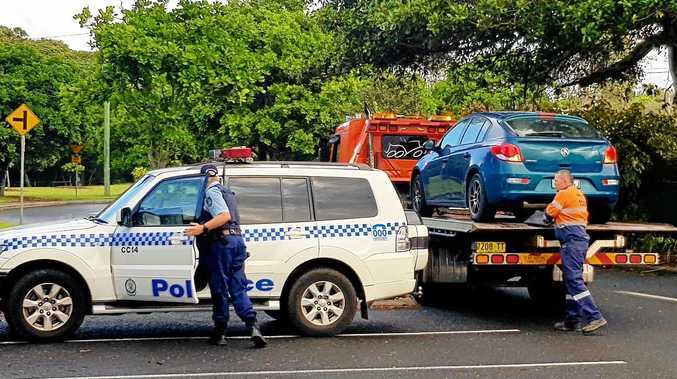 "I've rung on two occasions over the weekend while people were loading items into their car and they actually came back a second time but the police couldn't get there in time but I was able to pass on their numberplate details," she said. As Lifeline North Coast CEO Allister Donald points out this activity is putting a huge strain on the charity's work. "Every item sold from our Lifeline shops goes towards the running costs of our call centre operations for the 13 11 14 crisis and suicide prevention line and theft and dumping impacts heavily on this major community service," he said.